You may want to say a bit more. What (is/is not) happening that you (think/don't think) should happen? Edited by Zen3001, 23 October 2018 - 02:54 PM. I don't see any sky in that screenshot. Can you render it with more in-game lighting so that we can see the textures more clearly? It's an extremely dark image (as in-game images often are when posted on a forum). It looked totally black when I saw it at work. At home I can at least make out that it's stairs. 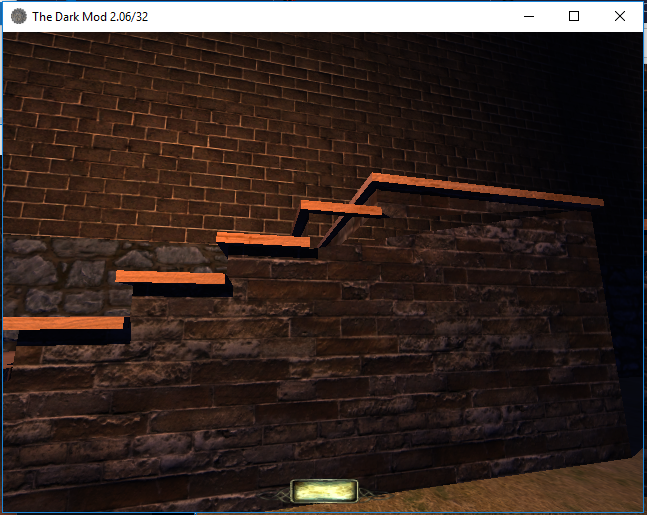 I can see it, not very well, but the issue appears to be on the side of the second step from the top. This appears to be common with 2.06. I have 4 places in my current WIP where this happens. There used to be 6, but 2 have worked themselves out over the past week w/o me doing anything specific to overcome them. My best advice short of someone fixing the problem in TDM is to live with it until you're about to enter beta test. If the problem is still around, or has moved elsewhere, you can convert the offending area to a model, or cover it with a separate patch. My first idea is that messy brushwork flubs the render so you get black like that along a seam usually from the bad brushwork. That typically means building off of the grid, like a tiny sliver of brush sticks out, there's a tiny overlap of two brushes, or a tiny gap between two brushes, or two brushes meet at a tiny angle, or any combination. The solution is to rebuild the thing on the grid with cleaner brushwork. Or like grayman said, convert it to a func_stat as it doesn't look like it has to be sealing anyway. While this is true, none of the problems Im seeing are from messy brushwork. These are on-grid faces, no slivers. And as I mentioned, some fix themselves with no changes. Converting to a func_static might not fix the problem; converting to a model always does. I'd be curious to see a wireframe of what that section looks like with r_showtris. During compilation the engine is looking for ways to simplify and optimize brushwork. It's culling away surfaces that won't be seen. It's merging bits with the same material, texture alignment, and normal. Then it's trying to figure out how to triangulate what is left. Sometimes the compiler gets it wrong. There's no real way to avoid that short of constructing the bulk of your map out of models where you can explicitly specify how the resulting mesh should be constructed. So in this instance I would use the third method show in Rich's image above, where the small step-caps and triangular parts are made FS. 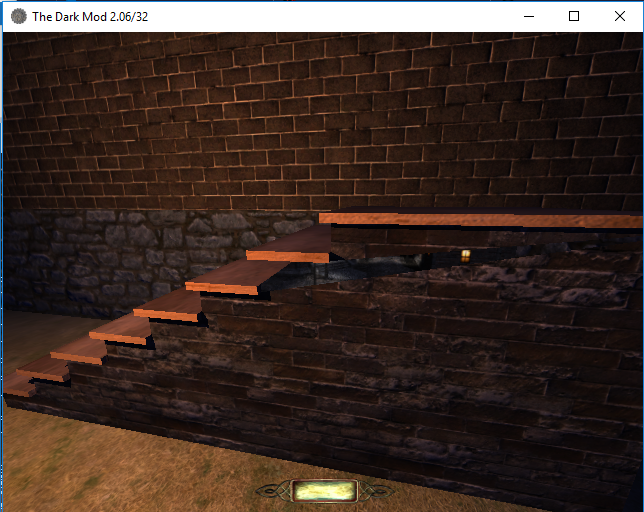 Then because Ai and the player tend to trip over the little bits of the cap that jut out, you make the whole FS non-solid and then place simple nodrawsolid brushes of the matching material, (stone, wood, etc) where the triangular parts of the steps are. I can make a little video for you if you like. That looks to me like dmap causing a bad cut in the geometry at compile time, perhaps if you manually cut the last big steep at the top level of the smaller one touching it? Or like grayman said, convert it to a func_stat as it doesn't look like it has to be sealing anyway. Edited by Amadeus, 24 October 2018 - 10:17 AM. That last pic shows that dmap created a n-gon (geometry with more than 3 edges). Everything should be triangles (geometry with 3 sides) showing that you need to cut that stairs manually until that doesn't happen (or someone on the engine team finds why dmap breaks down on that). 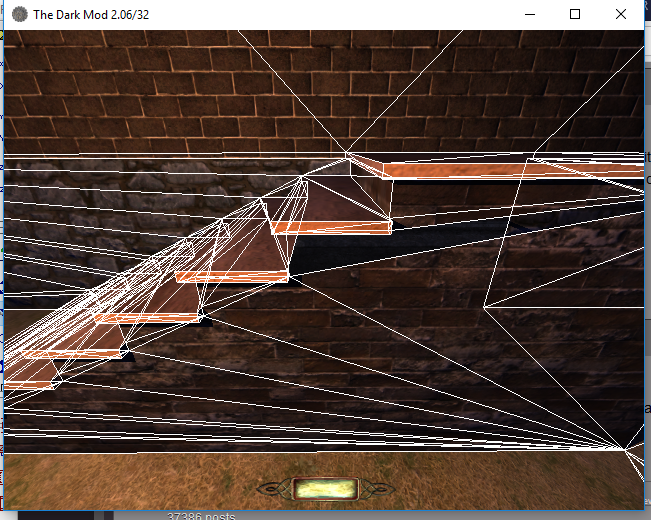 Not saying that it doesn't but why converting to a func_static would solve bad dmap triangulation? I didnt say to convert it to a func_static. I said to convert it to a model. A func_static can still have the missing tris problem. Could you maybe also share your dmap log for comparison? Edited by Skaruts, 25 October 2018 - 12:09 AM. 2 entities containing primitives processed. 120 msec to load collision data. Dumped console text to dmaplog.txt. 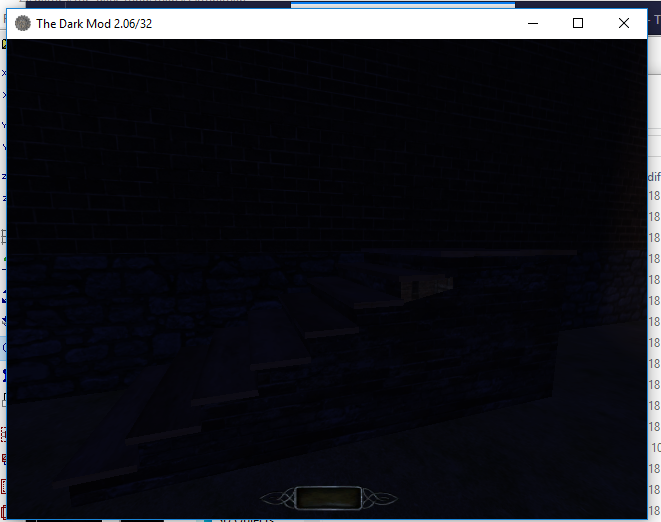 Converting it to func_static didn't help but instead of rendering the skybox there's just an invisible triangle that allows me to see the wall behind it. something in dmap is causing triangles to be recorded in the proc file the wrong way round, usually corners in triangles are recorded as 0,1,2 but where the triangle seems to be missing its being recorded as 2,1,0. If you go inside the box with the missing triangle you can see it drawn on the wrong side of the box, eg the inside of the box, and not the outside. Not just that, it's not cutting triangles below the step (the wooden board), as it does below all the others. That empty triangle should be 3 triangles. Edited by Skaruts, 25 October 2018 - 10:19 AM. I just forgot to change the texture of two boards from caulk to the wooden texture, nothing wrong with that. I'm not sure that makes a difference. What I mean is that, looking at the last screenshot you showed, the engine cuts the geometry below all the steps in one way, but for some reason it does it differently on just that one step. Time to file a bug report against dmap, attaching a test map that shows the problem.